Umm! So many free Line sticker we can downloaded from Turkey, Mexico, Spain, Japan, Taiwan, Germany, Malaysia, Philippines, Thailand, Brazil, and Russia stickers’ shop with VPN today. 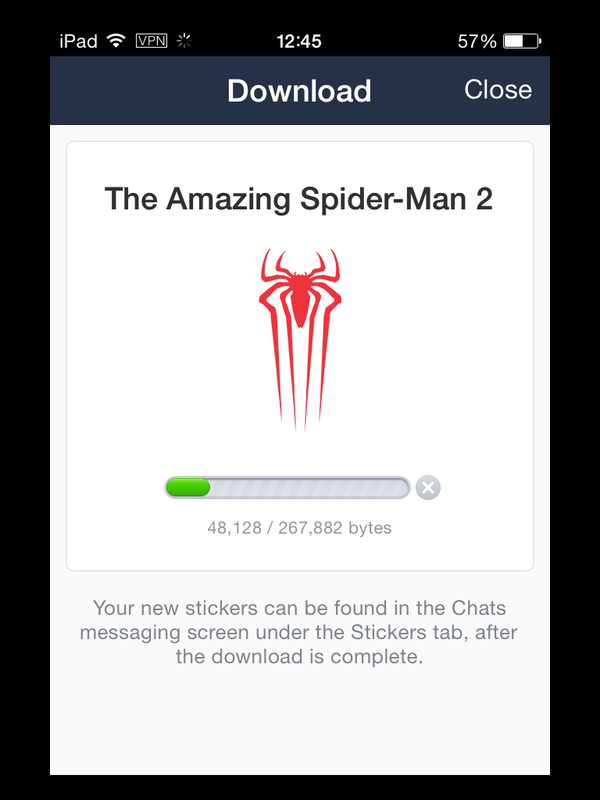 I download all stickers below with FlyVPN premium account. 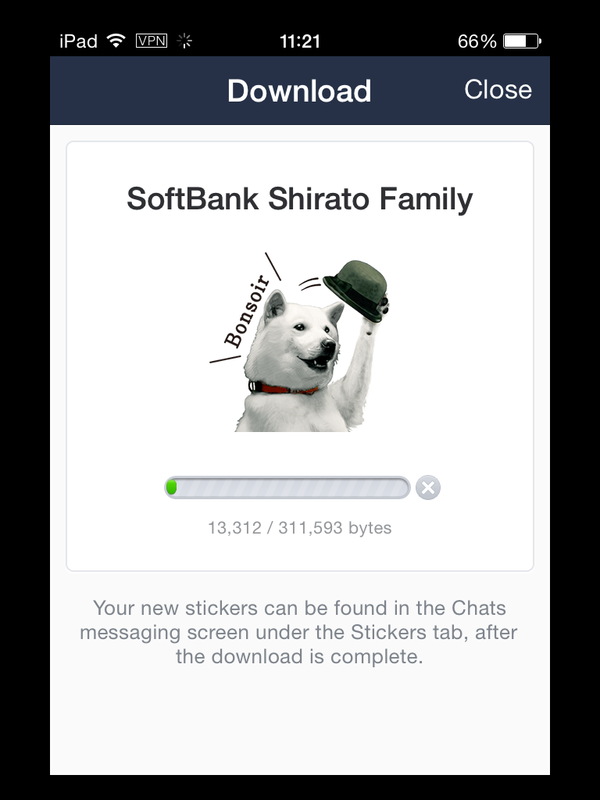 It’s very fast to download free Line stickers with paid account. I don’t want to use its trial account for limited accessible. Click FlyVPN logo photo below to purchase premium account. Brown Vs. Cookies: No Holds Barred! 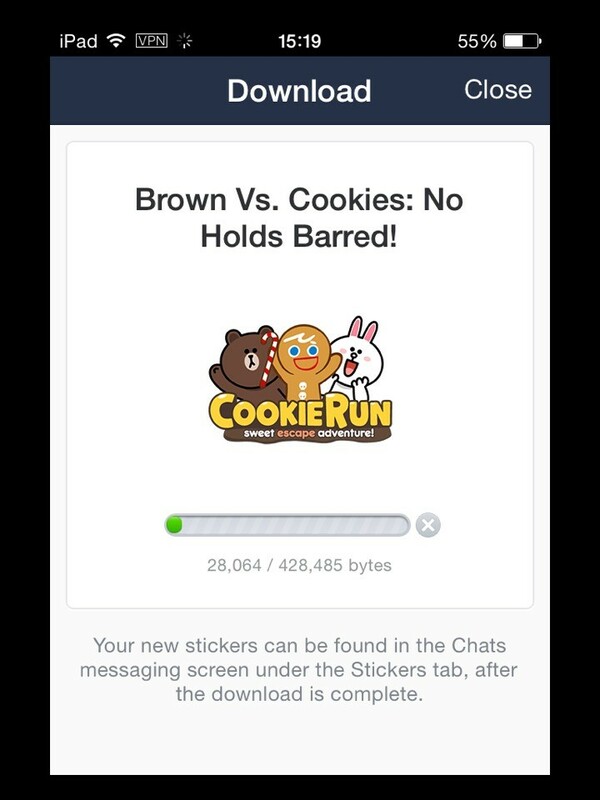 Sticker Type: Install Line Cookie run app from App store or Google play store&Hidden Line Sticker. 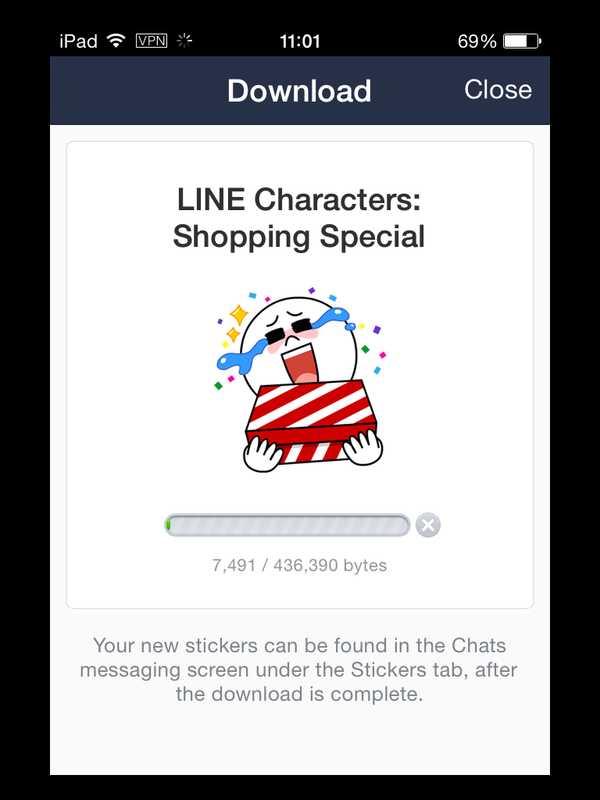 Malaysia – line://shop/detail/2168 – 365 days. momo-Rola. 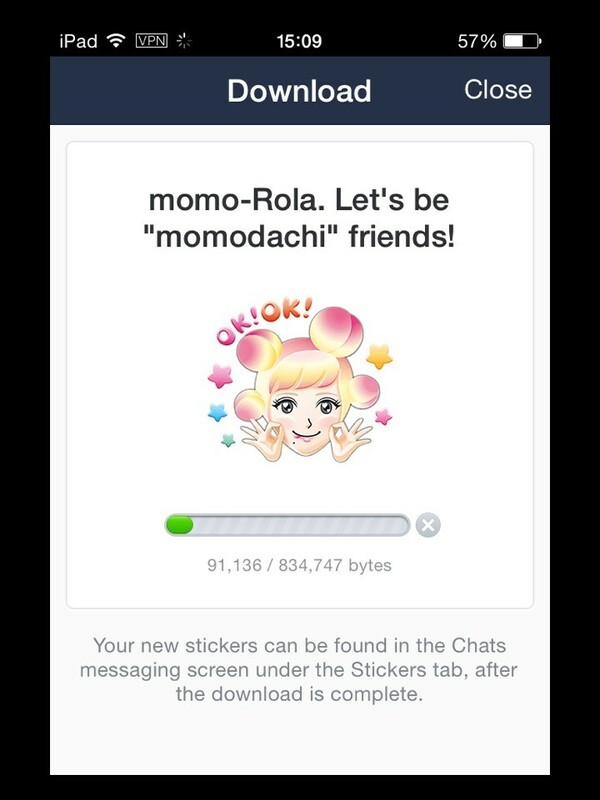 Let’s be “momodachi” friends! Sticker Type: Hidden Line Sticker. 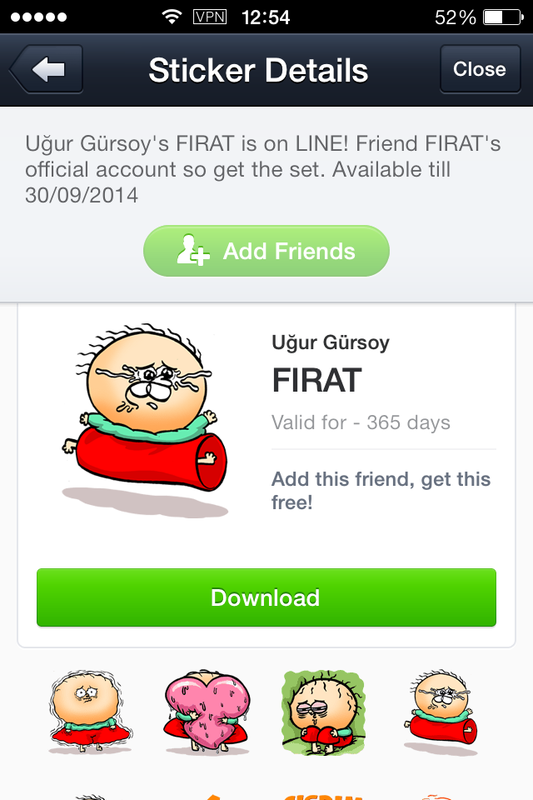 Download free Line stickers in Turkey with Turkey VPN. Download free Sally: Special Edition Stickers with Turkey VPN. Download Brown & Cony’s Secret Date! 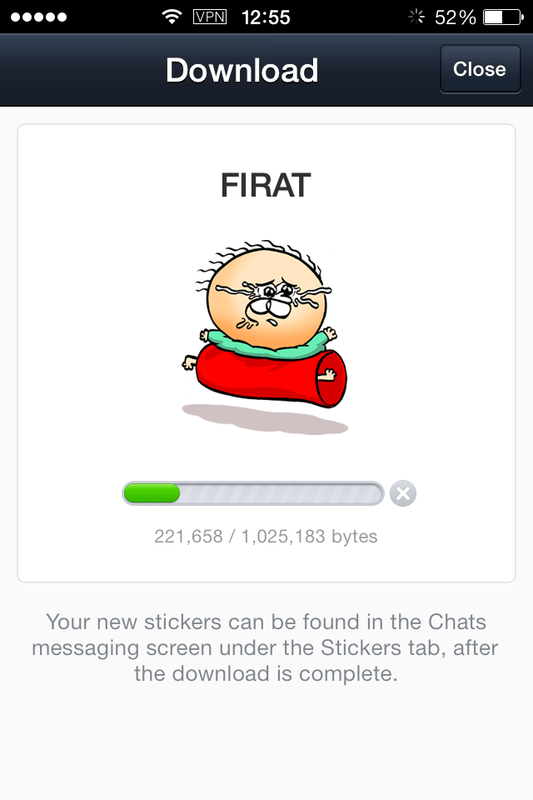 stickers with Turkey VPN. 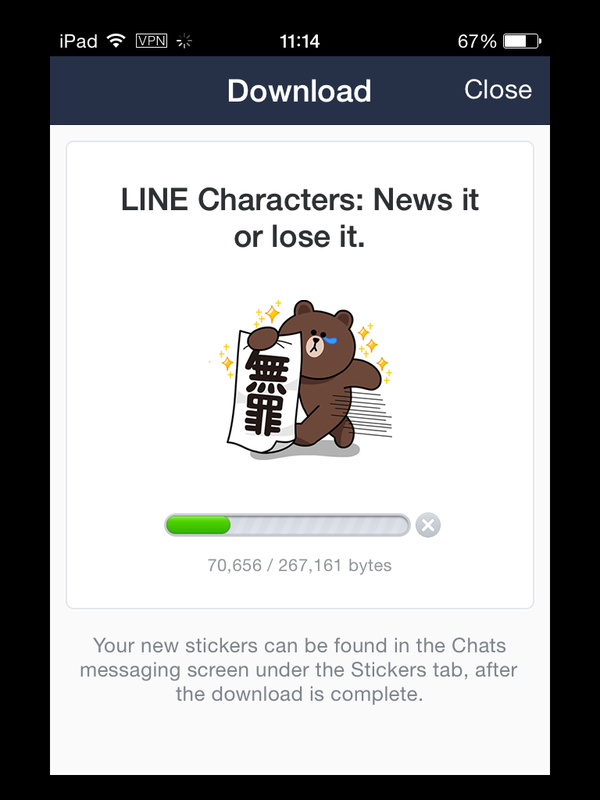 Line is sending free Line stickers in Turkey. There are two stickers. One is Brown & Cony’s Secret Date! (line://shop/detail/1157), another is Brown & Cony’s Lovey Dovey Date(line://shop/detail/1158). 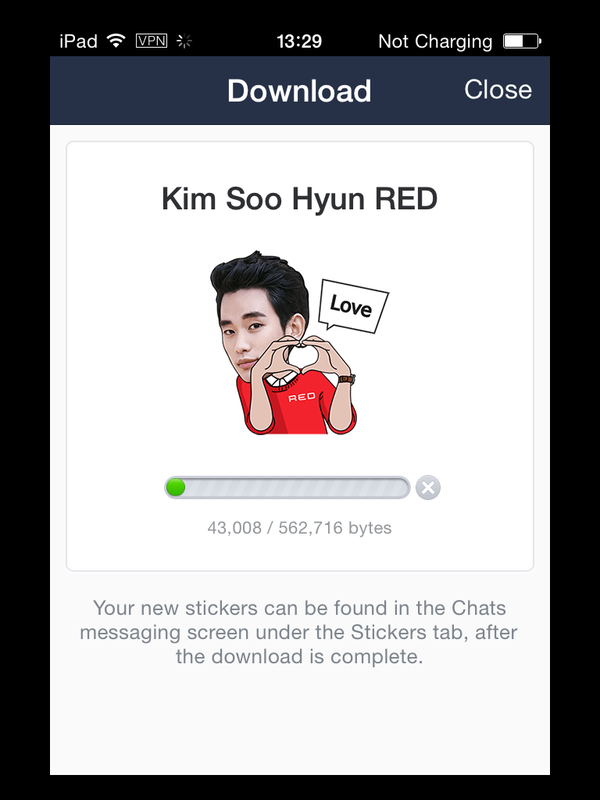 Line fans can download both stickers before 15th, September. As I know that Line will launch another 4 free Line stickers in next two weeks. The stickers are Cony’s Happy Work Life, Sally Special, Moon:Mad angry Edition, Moon: Salaryman Special. 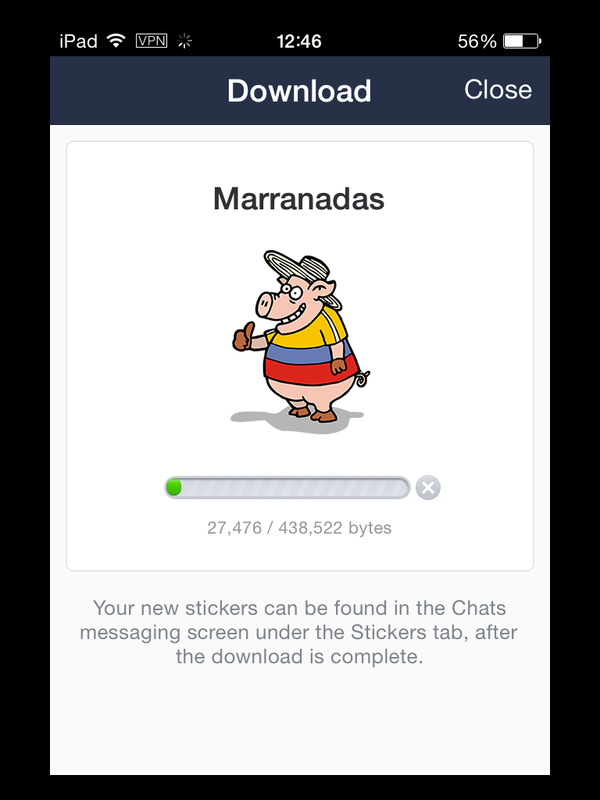 How can you download those free Line stickers from Turkey? The simplest way is to use Turkey VPN. 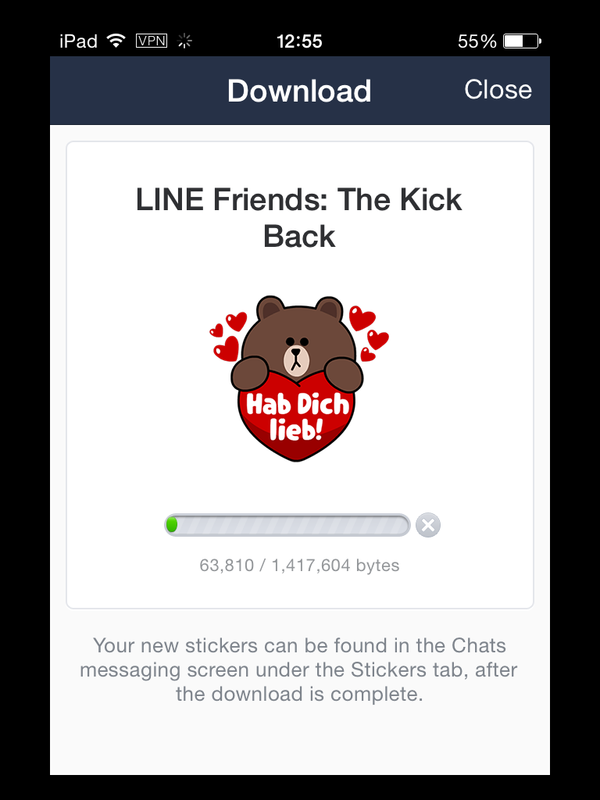 Line fans can download Brown & Cony’s Secret Date! 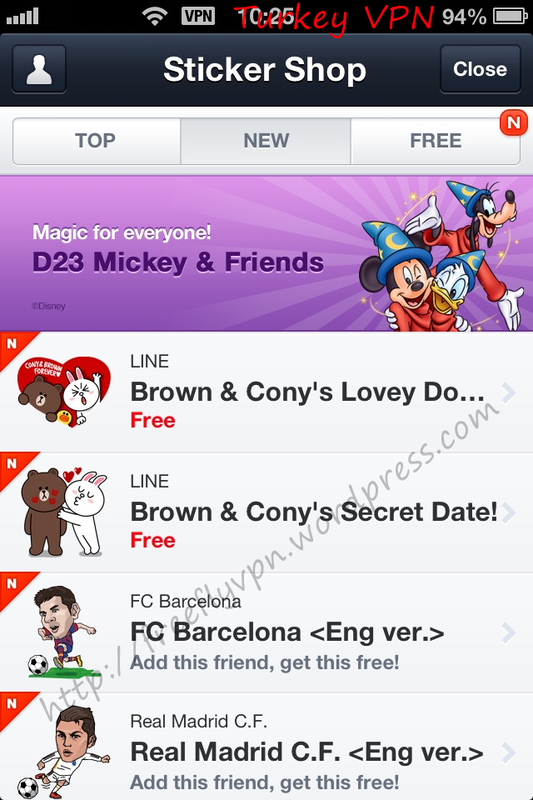 and Brown & Cony’s Lovey Dovey Date stickers today. If you want to download free stickers on iPhone, iPad, Mac OS or android, please read the article why I cant access other countries stickers shop with VPN before downloading. 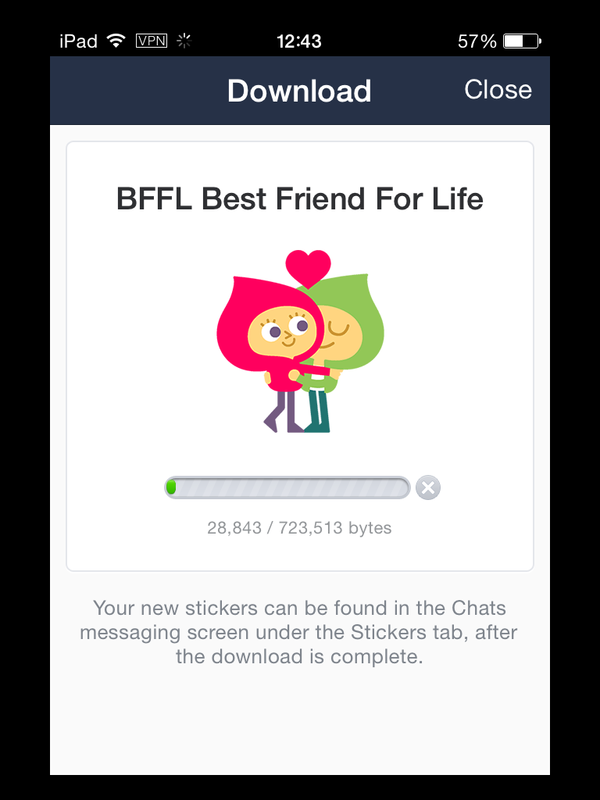 1: Please close Line application before connect VPN. 2: Connect Turkey VPN on devices. If you don’t want to pay for it, obtain free trial Turkey VPN from FlyVPN official website. If you don’t know how to setup VPN on devices, visit http://www.flyvpn.com/tutorial to know more details about VPN settings on machines. 3: Log in Line account with email. Access sticker shop, click “Free” tab. 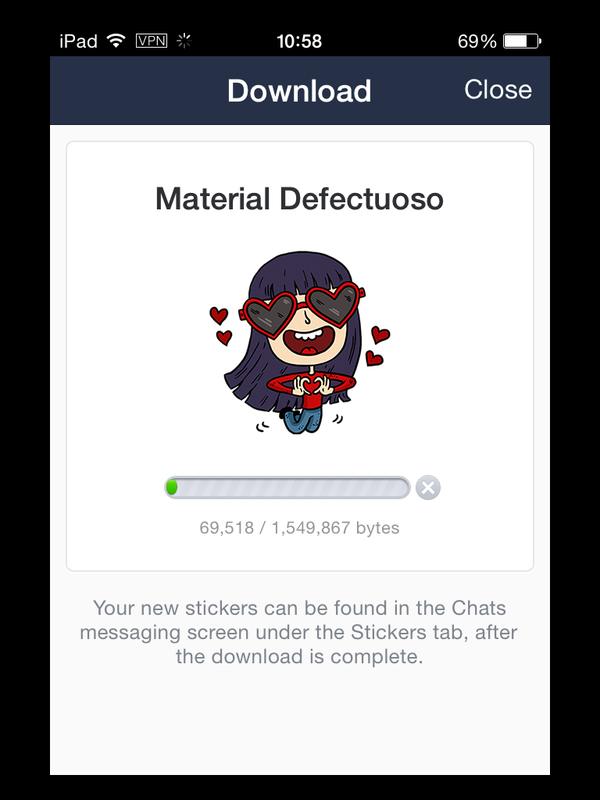 Then you can see many free stickers. 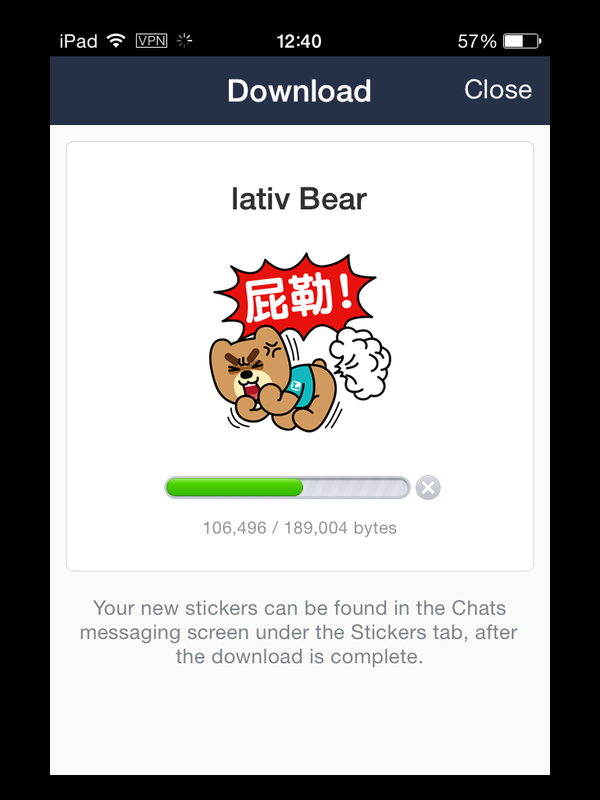 Buy VPN to download free Line stickers from other countries effortlessly.